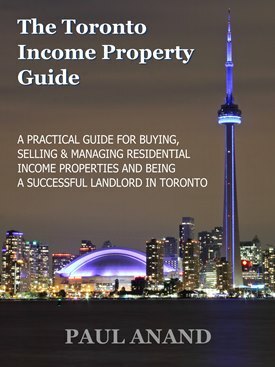 Frenetic Toronto Housing Market Starts to Slow Down - Plex Realty Corp.
Is the Frenetic Toronto Housing Market finally starting to slow down? Multiple sources over the past few weeks have reported that bidding wars have slowed and traffic at open houses appears to be down across the GTA and Hamilton after the province introduced new measures to cool the red-hot real estate market. Just the news of impending new legislation seemed to spark doubt in some buyers’ minds and start the first real estate slowdown Toronto has seen in years. Former Ontario PC leader Tim Hudak, who is now president of the Ontario Real Estate Association said he’s heard from hundreds of agents since the Liberal government introduced measures to cool the market on April 20. He added while it’s too early to say what the long-term consequences of the government plan will be, buyers have become more cautious. It is not uncommon for there to be confusion following a long, hot Sellers’ market as buyers wait to see where the market and prices are going. “The realtors I’ve heard from are telling me that there are fewer people in bidding wars,” he said. “That’s not just in Toronto, but also other parts of the Golden Horseshoe, and there are fewer people coming to open houses. Hudak said buyers appear to be taking a “breather,” but cautioned all evidence to date is anecdotal. On April 20, Premier Kathleen Wynne announced a 16-point plan to address problems in the housing and rental markets. The measures included the imposition of a 15% foreign speculators tax. At the time, she stressed the changes are being made to calm the frenetic market and establish fairness for those trying buy a home. In the GTA, sale prices skyrocketed by 33% in one year. Hudak said the changes don’t appear to have had an impact on sellers, who continue to list their homes at about the same pace as before the government’s announcement. But regardless of what the market looks like in six months, the underlying demand remains, he said. Some sellers in the GTA are still pricing their properties for several hundred thousand less than what they are prepared to accept, which may be adding further confusion to the marketplace. “Record low mortgage rates, millennials are trying to get out of mom and dad’s house, the Toronto area is very attractive internationally and across Canada,” he said. “None of that is going to change. Scott Blodgett, spokesman for Ontario’s finance ministry, said it’s too soon to tell what impact the new measures have had on the market. Time will ultimately answer these questions as both buyers and sellers reevaluate their positions.